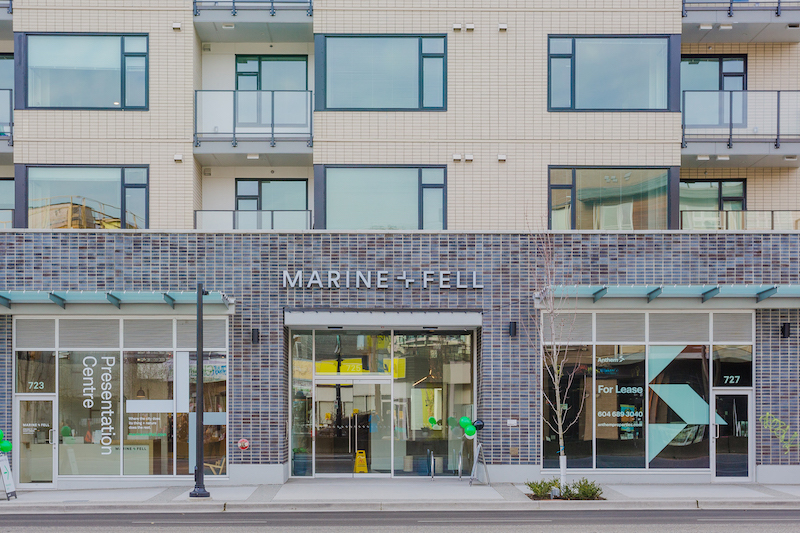 Marine and Fell is a 5 storey mixed use building with 80 residential strata units with 1, 2 and 3 bedroom + den boutique homes ranging from approx. 565 - 1,196 sq./ft., and with modern exteriors and well-designed interiors. Play in the forest above you, the sea below you or the city amenities all around you. 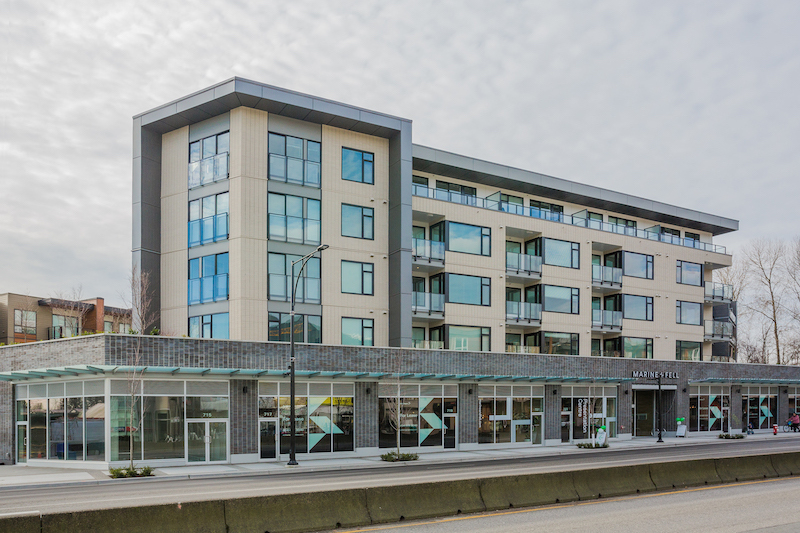 These 1, 2 and 3 bedroom residences are immersed in thoughtful design details, and are move-in ready. 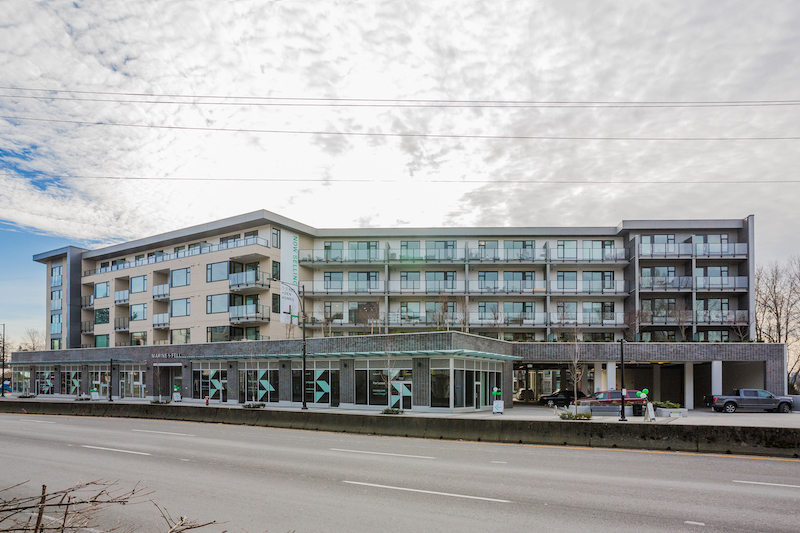 Offering a collection of distinct contemporary homes in a location that gives you true lifestyle choices. 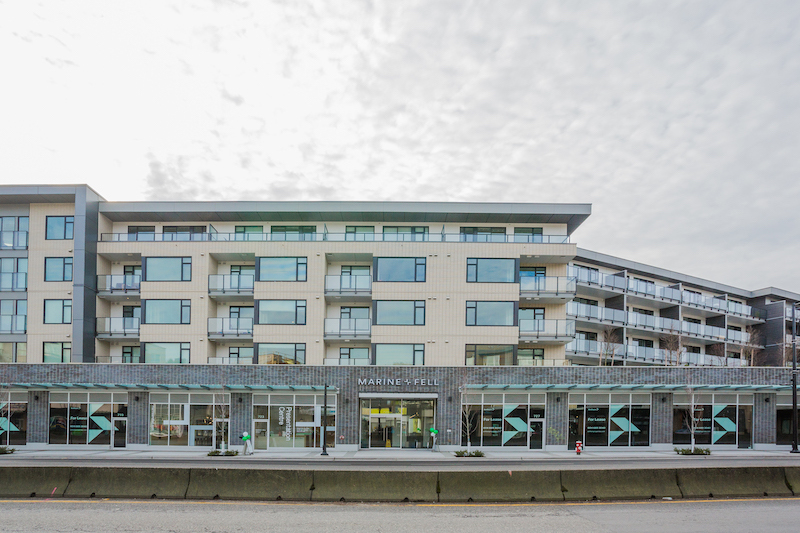 Close all the Marine Drive has to offer with quick access to Major routes and transit. Restaurants, Everything wine, Lonsdale Quay, Spirit trail, Shopping and Groceries.